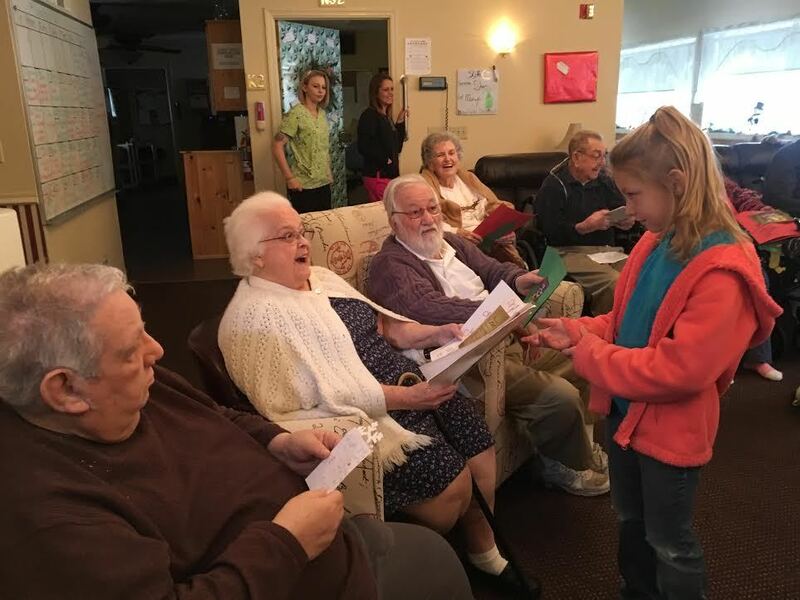 Elementary students from the Bald Eagle Area School District stopped by Eagle Valley Personal Care home to sing songs, make crafts and spend time with residents. It’s a fieldtrip the student have been on before that helps connect them with some of the older residents, and help boost holiday spirit. On Dec. 12, 28 students from Howard Elementary School’s Spirit Club participated. Spirit Club is made of students from first- through fifth-grades, and was created as a way to boost student morale and community service. Fifth-grade teacher and club adviser Amber Buchanan said it’s something the students look forward to. “They just love it,” she said. On Dec. 15, three classes of second-grade students from Wingate Elementary School visited the home and sang a series of Christmas songs before handing out Christmas cards to the residents.